La Cruz de Huanacaxtle is 12 miles north of Puerto Vallarta on Bay of Banderas. Office in house with PC, e-mail, fax, answering machine. Additional sleeping. This luxury home is as good as it gets! 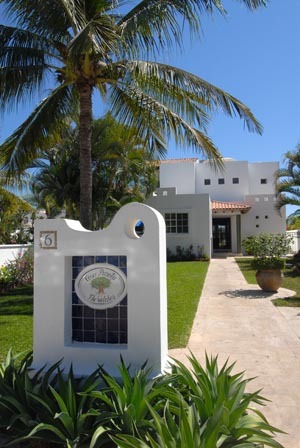 Casa Parota at La Puntilla will be your home away from home. Luxury amenities are included throughout the house - from hand-knotted oriental rugs and handcrafted furniture, to numerous oil paintings, gourmet cookware and Italian dishware. No detail is too small. The area is rich in attractions. Fifteen minutes to the north of Casa Parota is the new Four Seasons Resort, Punta Mita, with the first and only major golf course in the Puerto Vallarta area with the Resort's Jack Nicklaus-designed signature golf course. 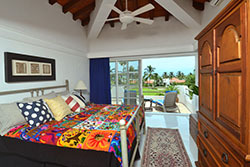 At right, the view across the Master Bedroom, showing the private balcony and giving a hint of the splendid view out to the Bay of Banderas. 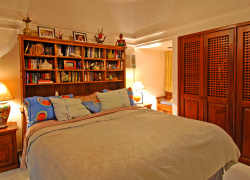 Right: View from the Master Bedroom. 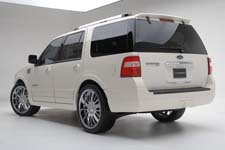 Optional 2010 Ford Expedition Limited - waiting for you at the airport! 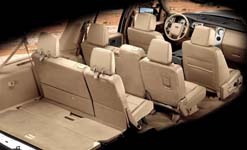 2010 Ford Expedition Limited - leather, seats 8. The Expedition can be waiting for you at the airport! See the Rates and Services chart, below. View of the pool from the deck of the Master Bedroom. Click for a larger picture. A pleasant evening view, looking toward the house from the deck. Click here for a larger picture. 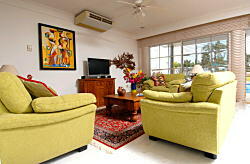 Rates are based on time of year, number of guests and length of stay. All IVA taxes are paid by owner. All taxes are paid by the owner. 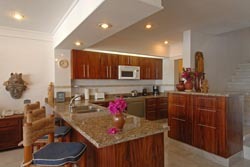 Call or E-Mail for Last Minute Special Rates! Availability Is Casa Parota Available? Click on the calendar to see the available dates. 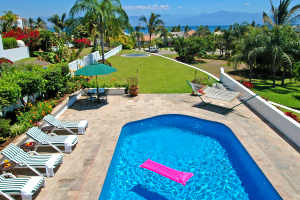 There is a Currency Calculator on the page, Links for Your Vacation Planning (http://www.pv-casaparota.com/links.html). 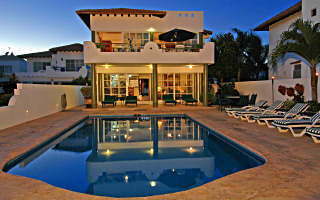 Casa Parota offers a wonderful vacation opportunity. Our guests' comments will confirm that. Click to see maps which show the relationship of La Puntilla to Puerto Vallarta. A map of the neighborhood surrounding Casa Parota is also included on the Map Page. Yes! The text in the box at left is today's actual weather report. Click on the icon for a detailed weather forecast. The calendar will open in a new window. When you want to return to this page, simply close the new window. Click to go to the links page. These are links to other web sites. 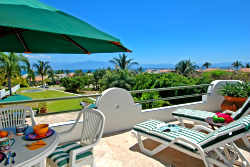 Some sites will help you plan your vacation in exotic Puerto Vallarta; others will assist you in booking travel. 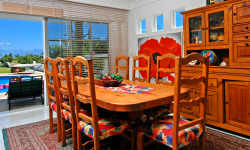 Take a moment to browse our directory of other vacation rentals There is sure to be one that will interest you. Copyright ©1998 - Casa Parota.